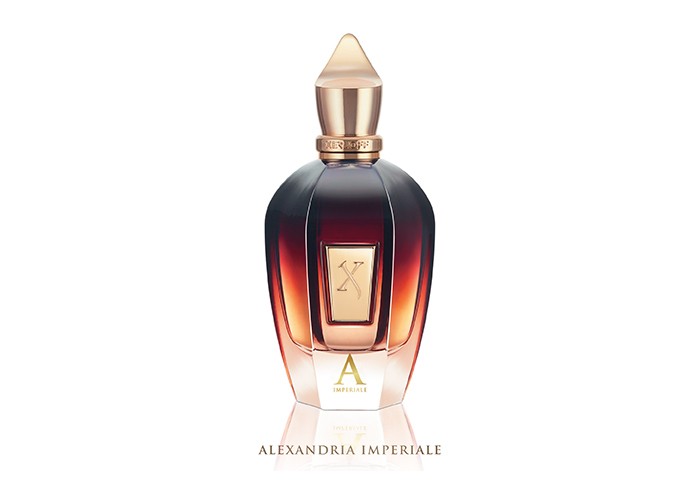 Xerjoff, luxury Italian perfume brand, known for their impeccable, distinctive and innovative fragrances, composed of the finest, rich ingredients and presented in their signature decadent, striking packaging, are introducing Alexandria Imperiale, exclusively for Fortnum and Mason, London. A perfect example of LUSH perfumery. Xerjoff’s philosophy to create rich perfumes with beautiful and raw materials, has resulted in a brand which captures the many layers and histories of perfumery, focusing on the beauty, creativity and artistic element of perfume making. The brand, founded ten years ago, was created with the raw, rich, prestigious, and quality ingredients in mind, hoping to complement the most affluent global lifestyles. The constant research, dedication and passion for the art of perfumery has resulted in collections which are unique, innovative, luxurious and limited edition, standing out against many other perfumes all around the world. Sergio Momo is the founder and creative director behind the masterpiece that is Xerjoff. Sergio was born in Turin in 1964, graduating with a diploma in graphics and design from art school in 1982. After completing his studies at the European Institute of Design, Sergio moved to London, spending many years working on various designs for advertising agencies. Sergio eventually returned to Italy, where he joined Carre Noir Design International as creative director, and he was able to work with leading international agencies. He became an enthusiastic observer of new international design trends, particularly in the beauty and luxury perfume markets. He was able to collaborate on incredible design projects for Bacardi, Ferrero, Lancome, Rolls Royce and Ferrari, famous international brands. Sergio’s passion for perfume began at a young age, where he grew up in a family that appreciated and respected the art of perfume. It was in France where Sergio’s love for luxury perfume flourished, after he spent a period of time researching and training in Grasse, the Xerjoff ‘Parfum Maison’ was born, in 2005, Turin, Sergio’s hometown. Sergio’s family and childhood had strong connections to the world of perfume and even raw materials, which stirred a passion inside of him that later flourished and led to the creation of Xerjoff. Sergio’s upbringing allowed him to appreciate and understand the importance of quality ingredients in perfume making, as they lead to innovative, mesmerising aromas. Alexandria Imperiale is part of the XJ Oud Star range: a collection paying homage to the famous traditions of Arab perfume making. The Oud Stars is created from prestigious, ground breaking distillations of pure oud from plantations of Laos, Cambodia and Borneo. Extensive research and production of Oud Stars has been developed with the absolute intention of creating a collection faithful to the traditions of Arab perfume making, whilst never compromising the luxury style and innovative creativity that is Xerjoff.Xerjoff has a dying philosophy of using the richest ingredients, the absolute highest possible quality raw materials, and presenting them in the most striking bottles, which capture the fusion of passion and nature, highlighting the artistry and culture within. After the incredible success of their Alexandria || perfume, Sergio Momo made sure that the Alexandria Imperiale payed homage to the original scent, whilst making sure to create a scent which was long lasting, fresh and did not slowly fade, but instead linger and continuously release an enchanting aroma. Top notes of Rose, Lavender and Cardamom, a bursting bouquet, with notes of leather in the base, Sergio crafted a masterpiece fragrance which will be another staple, legendary perfume amongst his previous collections. Sergio was never content with just settling for a creation of ‘just fragrances’, he wanted to create intense emotions developed around a sensorial immersion, the look, the story, the touch and memories and of course the smell. 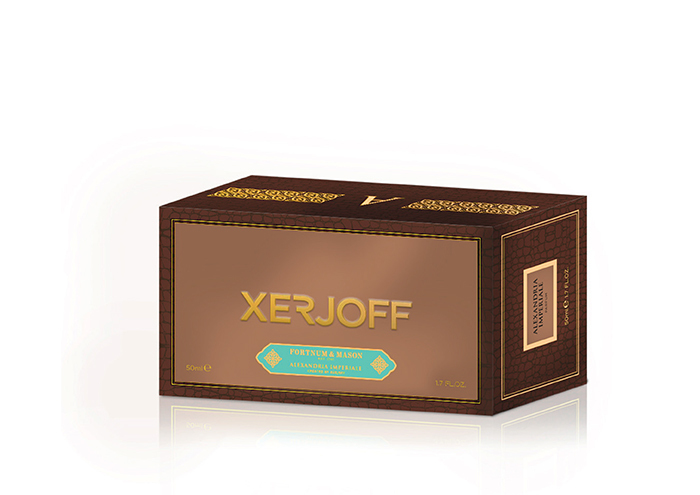 Xerjoff’s masterpieces are appreciated and loved by avid perfume lovers all over the world. 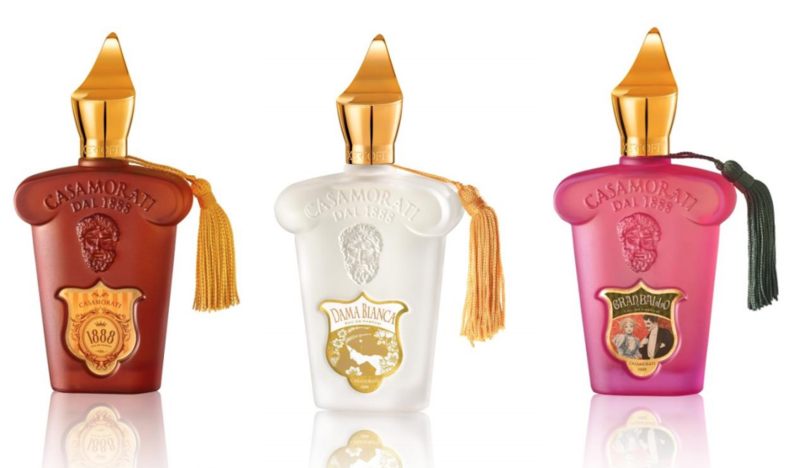 Xerjoff are also launching XJ Casmorati, inspired by vintage Italian perfume making, available at Harvey Nichols 31st July! Perfume making in Italy was known as a way of capturing moments in time, through rich couture scents. The collection is inspired by this, allowing vintage Italian perfume making to be re-born. 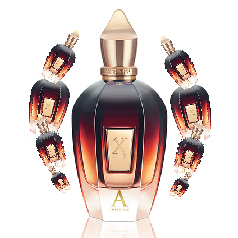 In order to further distinguish the brand, Xerjoff are also launching a decadent new shape for their Falcone perfumes. The quality of the perfumes will remain unchanged, always luxurious and full of high quality raw materials. Orto Parisi, is also a luxury perfume brand, created by the magnificent master perfumer, Alessandro Gualtieri. This worldwide respected brand has a dedication to raw, organic, perfumes of life, similar to Xerjoff. The brand believes in experimenting with ‘typical’ aromas and giving them a kick and twist, breaking boundaries and resulting in innovative, new and exciting scents, which attack all of our senses. Orto Parisi has a determination to create perfumes with depth and roots. Weighing in on the importance of a personal development, and how a strong part of a persons character comes from their roots, which is a notion that is applied to the art of of perfumery at Orto Parisi. “The World began with an explosion. the sense of belonging to Earth. grow strong roots to maintain the true light of Self. 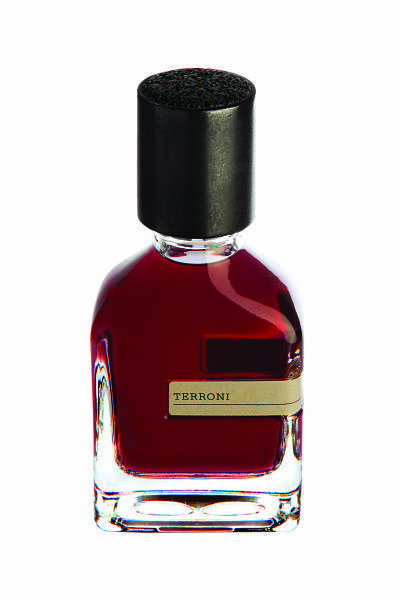 Orto Parisi is launching their new perfume, ‘Terroni’ for both men and women, and it is one of their most spicy and smoky sensory experiences. Alessandro Gualtieri, founder, is a respected, iconic nose in the world of perfume. Alessandro was born in Italy where he began his career as a student, then venturing into the world of perfume through studying history of perfumery techniques at a German training institute. This fortunately led to Alessandro gaining lessons from experienced perfumers; and for many years he went on to craft perfumes for Fendi, Versace and Helmut Lang. Alessandro believes that our main perceptions of scent are what motivate our actions and decision making in life, which is why each scent is so strong, and has such strong relations to human emotion and experience. The brands both embody the artistry of perfumery and the beauty of using natural, organic, rich and beautiful ingredients to tell a story; creating scents that are strong, and enchanting. They both capture the beauty of the culture of perfume making, the tradition and many layers that come with the passion of perfume.